While Kinnelon was incorporated as a borough in 1922, it wasn't until 1976 when its formal history was written. Kinnelon resident Lucy Meyer was working at the time in the engineering field as a mathematical physicist when she attended the famous Kinnelon Bicentennial meeting in 1976. She remembers the committee head explaining that Kinnelon couldn't be a bicentennial town because it had no history. Meyer says, "I spoke up and mentioned Charlotteburg (so named after Charlotte, wife of King George III of England) and its connection with the furnaces." After that, Meyers acquired another job, which was to write a formal history for the community. Meyer's book, "Kinnelon: A History," was published later that year by the Kinnelon Bicentennial Committee. Her work didn't stop there, and Meyer, who had become very involved with environmental issues and archelology, continued on to develop the natural resource inventory for the borough. Meyer notes that are certain significant aspects in the history of the Kinnelon area that are relevant to the American Revolution. The great Charlotteburg Furnance Tract consists of several charcoal furnaces and iron mines along the Pequannock River. The Long Pond Iron Works was a key player in the Revolutionary War because Robert Erskine, George Washington's key surveyor, posted his own militia there. This was the first organized militia in New Jersey, trained primarily by Erskine for the protection of the furnaces against raiding British soldiers. Area ironworkers eagerly joined in the colonists' resistance against the British as they had their own reasons for resentment toward England. England insisted that all iron produced be shipped back to England, where it would be manufactured cinto usable hard goods, which were then sold back to the ironworkers, including even small but fundemental pieces such as nails. Certain prohibitions were forced on the workers against manufacturing their own hard goods. These furnaces went on to produce the iron ammunition. Soon after the war the need for iron diminished; but archeologists and historians haven't been able to find a clear answer as to how the Charlotteburg furnaces met their demise. Clues seem to hint at a violent and sudden end, but with little explanatiion and minimal records. Meyer explains, "there's always legends connected to history but some of themare a hard trace." Eventually the great iron furnaces that consumed an acre of trees a day gave way to the more environmentally-gentle farms in the 1800s. New Durch settlers established the famous farms that are the origins of many names seen today; the famous Mead farm was home to the Butternut Tree, the Meadtown Shopping Plaza and the old Meadtown school, which was built in 1839 and is now L'Ecole, or the Kinnelon Museum. Meyer says, "the first council meetings were held there while Kinnelon was in the process of becoming a borough." Other famous names include the Deckers, who operated one of the iron forges, and the Rickers, who were also farmers and responsible for Ricker Road and Lake Rick-A-Bear. 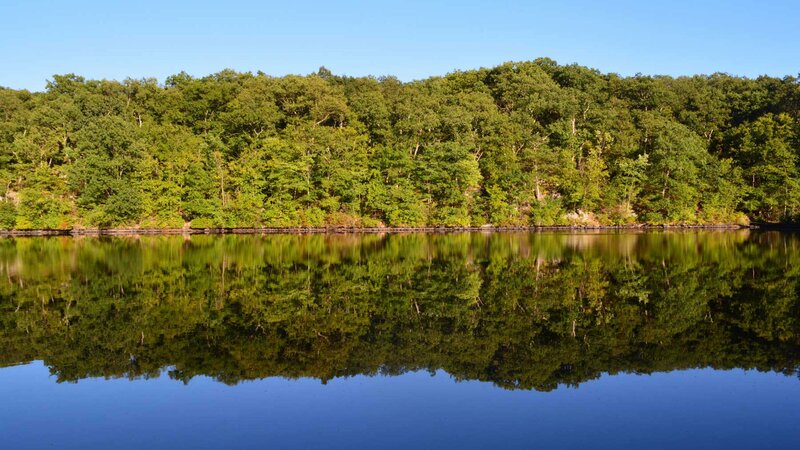 Much of Kinnelon's history has to do with its natural environment, which offers its own unusual elements that distinguish Kinnelon. Meyer notes that about 8,000-12,000 years ago the departing Wisconsin glacier left behind the entire Pyramid Mountain area, considered a unique geological area, and was the reason, she expains, "that everyone has worked so hard to preserve it." "History evolves after a while," says Meyer, but it is the important aspects that have stayed consistant. 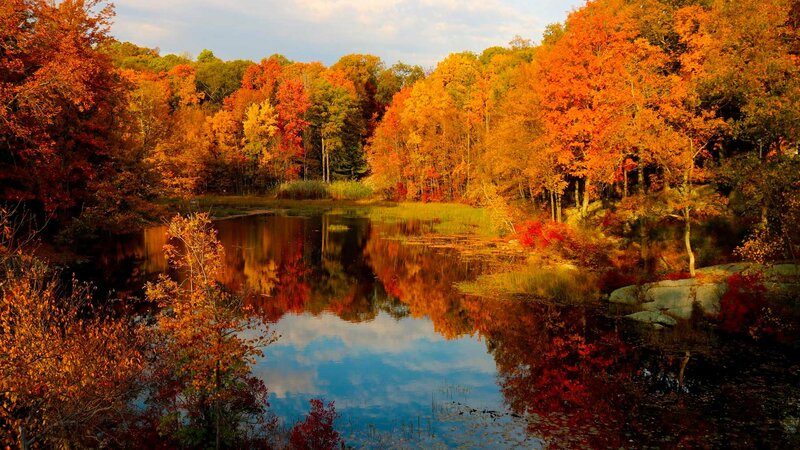 Meyer describes them as, "the natural beauty of the borough, the reservoirs and open spaces and the volunteer efforts from people that have deep roots in the community." Copyright © 2019 Kinnelon Borough, N.J. All Rights Reserved.